Join the Global Aquaculture Alliance at its GOAL 2018 conference in Guayaquil, Ecuador, from Sept. 25 to 27 for insightful program content, exclusive networking events, tour opportunities, membership benefits and more! 1. Join GAA at GOAL 2018 for insightful program content. 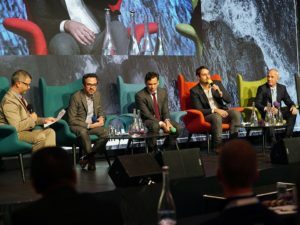 The theme of GOAL 2018 is “The Power of Collaboration.” Speakers will provide insight on the trends shaping the future of responsible aquaculture production and sourcing. You’ll walk away with exclusive aquaculture production data and analysis on all major farmed seafood species. Additions to this year’s program include discussions about the need for greater information sharing and transparency in the global shrimp supply chain, how biotechnology is shaping the future of food, and how aquaculture is reacting to issues such as animal health and welfare and social responsibility. 2. 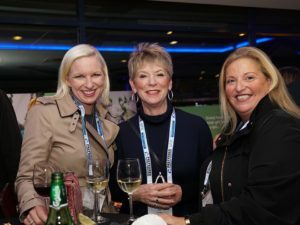 Join GAA at GOAL 2018 for exclusive networking. 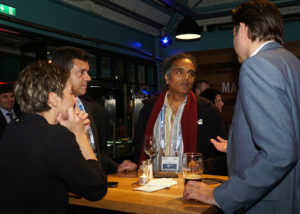 The conference is once-a-year opportunity to network with a diverse lot of more than 400 seafood professionals from 30-plus countries. This is a pre-competitive event. It is an opportunity to put day-to-day business aside and come together as an industry to discuss shared responsibilities and goals. We asked GOAL 2017 attendees why they attend each year. Watch this to hear what they had to say. 3. Join GAA as a member at GOAL 2018 for unique opportunities and deep discounts. In the past few years, we’ve shifted our focus as an organization to cater primarily to our GAA Individual and Business Members and Premier Partners. Each layer of membership receives a registration discount for GOAL, and all members are considered special guests, because it’s membership dollars that help us to produce events like this one. Your membership will be reflected on your GOAL badge and look for more day-of perks. Premier Partners can look forward to professional photos in front of their logo on our red carpet. Membership questions? Contact GAA’s Becky Holt. Sponsorship questions? Contact GAA’s Sally Krueger. 4. Join GAA at GOAL 2018 for the opportunity to explore Ecuador. Guayaquil is Ecuador’s largest city and is the hub of its prosperous shrimp-farming and -processing sector. GOAL 2018 will offer a vibrant taste of the city and country. You may be intrigued to extend your stay. 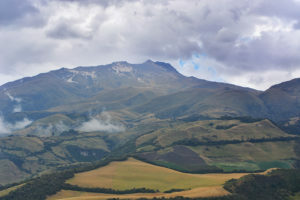 Our friends at Andean Travel Company, who can personalize a travel experience for you and your companion, write on the ATC GOAL 2018 website, “Ecuador manages to pack all the best bits of South America into one small country.” Explore the majestic Andes, the dense Amazon rainforests, bustling indigenous markets, laidback Pacific beaches, colonial cities, the world-famous Galapagos Island and more. 5. Join GAA at GOAL 2018 for all the extras this conference continually offers. 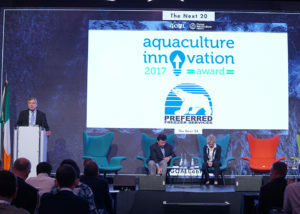 For the first time, the GOAL audience will decide the winner of the sixth annual Global Aquaculture Innovation Award. Three finalists chosen from 34 applicants will present their innovations on Thursday, Sept. 27. The Omarsa Gala Reception & Dinner at Hotel de Parque is not to be missed on Wednesday evening, Sept. 26. We’re currently offering three industry tours immediately before and after the conference. To confirm participation, register for the conference and select the appropriate tour or tours when prompted. Transportation is provided. Space is limited, and each tour is closed once its capacity is reached. Industry tour questions? Contact GAA’s Steven Hedlund.